Apache suction and discharge hoses with XtremeFlex technology provides a strong, flexible solution for applications that require tight quarters. Its smooth interior resists material blockage, while the clear PVC wall provides visibility of material flow. 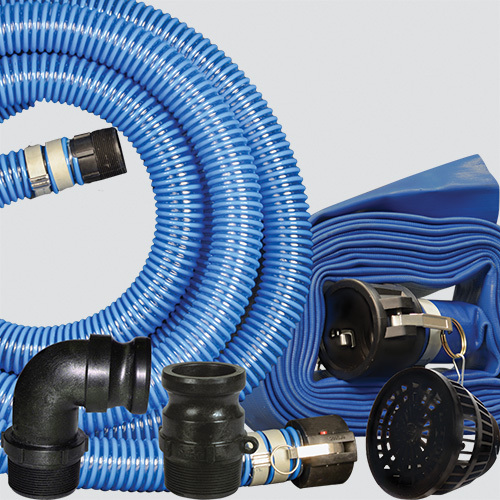 With increased ease of handling, this hose kit is ideal for large volume transfer of water in agricultural, construction, industrial, municipal, and government applications.